On March 23, 1987, two young entrepreneurs decided to incorporate Olva & Asociados S.R.L., a Peruvian mail company initially focused on national mail. Over the years, it became a company with important business units. With the experience acquired and due to the prestige gained by the services provided, Olva & Asociados S.R.L. achieved a significant portfolio with more than 600 corporate customers belonging to different sectors. Later, due to the great acceptance of the services provided, a new company called Anderson Vásquez y CIA. SAC. is incorporated, which assumed the obligations of the service under Olva Courier registered trademark, with the purpose of covering the new investment needs to the satisfaction of the users, creating its own shipment system. 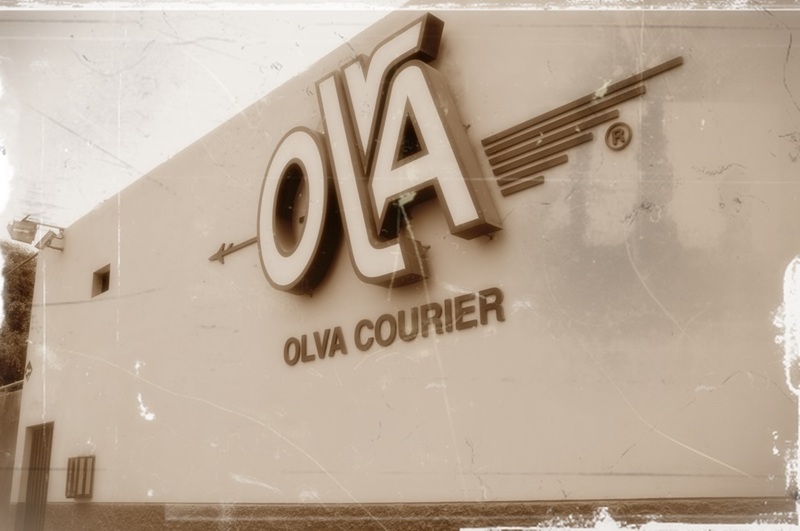 Years later, it was decided to change the company name to Olva Courier SAC. From then on, being a very recognized brand in the sector, Olva Courier becomes a business organization with about 289 branches nationwide, all adequately equipped and with the proper infrastructure. After the change, Olva Courier achieved the expansion of its coverage dedicating itself to the transport by air, sea, river and/or land of freight in general. In addition, Olva Courier was the first Peruvian company that purchased the sorting machine. Olva Courier started the year integrating a solid company and acquiring its first premises of 3.300 m2, which currently serves as the warehouse and main office. Subsequently, it obtained its second premises of 5.000 m2. Continuing its spirit of growth, Olva Courier began a new stage when launching new business units: Olva Carga, Olva Ti, Olva Export–Import and new national coverage, procedure, freight, merchandise distribution, and international export and import services. Also, it entered the world of online shopping with Olva Compras service. A short time later, Olva Courier entered a stage of change and renewed its corporate image. The logo had a basic change and the slogan went through three important changes that identified us as a company, each one at the time. Today, this slogan identifies us: “We receive packages and envelopes, we deliver emotions and feelings”. At present, Olva Courier is a solid company that has a large central warehouse, 19 customer service offices located in strategic districts of Lima, 289 branches in the main provinces of the country, and more than 1000 formally hired workers. After almost 30 years of experience in the courier service, with more than 600 workers in Lima, more than 17 million shipments satisfactorily delivered nationwide and worldwide, and its more than 1000 corporate customers, Olva Courier becomes the leading company in the courier service in the country. As part of its growth, strategic alliances are comprised in its projection as a company. Therefore, Olva Courier has important alliances with the most prestigious international companies in the world to make deliveries to different destinations. Olva has been working with Cacesa, an operator specialized in air freight, which groups the most important airlines such as: British Airways, Iberia and Vueling the third most significant aerial group in Europe to reach all over the world. Likewise, for this year, the storage service will be implemented, working jointly with Almacenes BSF del Perú. Olva Courier also has more than 200 mobile units that travel all over the country. In addition, it provides complementary services that, beyond being a simple supplier, allow it to be a strategic ally of its customers. ¿Are you looking for a quality courier service?